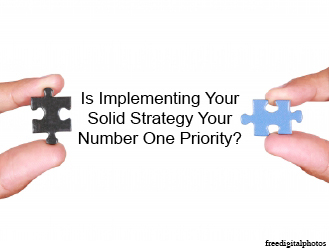 Is Implementing Your Solid Strategy Your Number One Priority? There are many facets of building or growing a company. The two most important components in planning should be a solid strategy and a creative element. Imagine cooking Thanksgiving dinner for a family of ten and not having recipes ready. The day before Thanksgiving arrives and you spend an hour or two finding recipes and buying everything you need. By now you are behind and will end up cooking all night. Business concept – What is your business? Or how do you want it to grow? (If you are going that route) What is the product and whom are you marketing to? What will be the point of the business and why will it be an advantage against competitors? It is very important to get this on paper and keep it short and to the point. Financial – This may be obvious, but point out sales, profits, cash flow and ROI (return on investment). Money is very important in a business and knowing where money will go is a must. Business positioning – Basic information about the company including legal forms, owner and key personnel info, and the mission statement of the company. This basic information will be good to have on hand when it is needed. The creative element will be incorporated in everything you do. If you are opening up a coffee shop you have to think “what makes mine different and why will customers choose me?” Research is important. 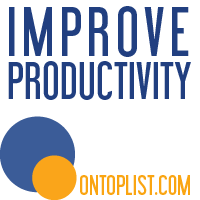 Check out competitors and visit them as a customer. Creativity is very important in our evolving world. Younger generations need to be entertained and the public expects things to be designed/presented in a professional manner. There are many more steps to ensure that your solid strategy and creative element is your number one priority. If you have further questions, please contact Baker Creative or leave a comment.